This product replaces the older Zebra GX420 Series. 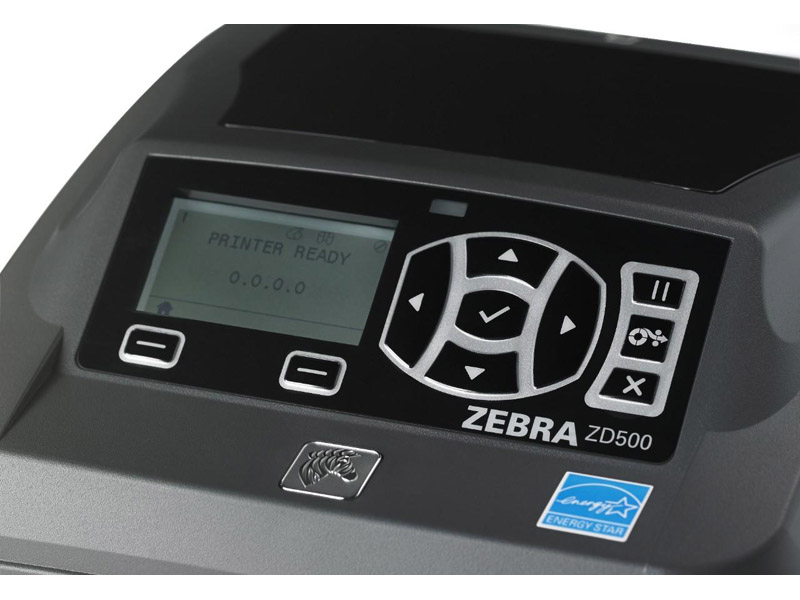 Our most innovative desktop printer, the ZD500 features Zebra’s Link-OS® environment—a cutting-edge operating system combining a powerful Multiplatform Software Development Kit and software applications—making it easy to integrate, manage and maintain from any location around the globe. Equipped with a ten-button menu and LCD display, it’s designed to be simple to set up and intuitive to operate. 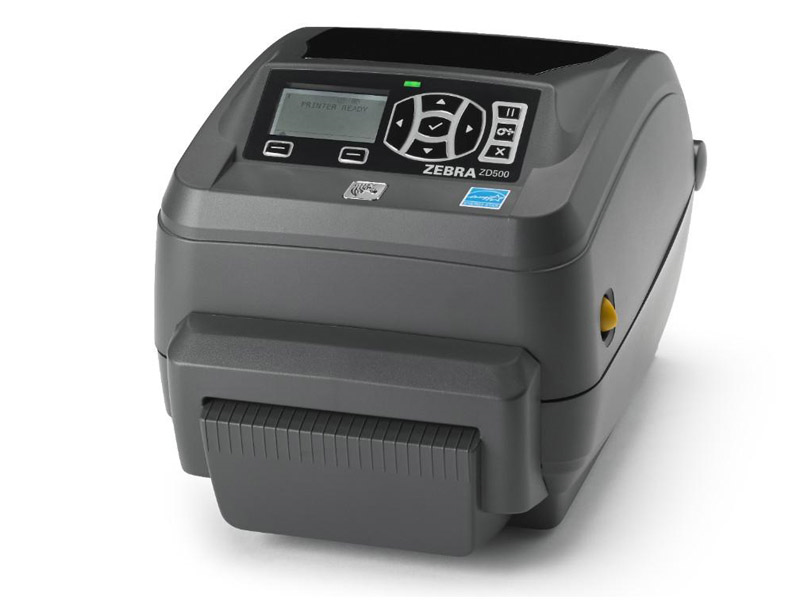 Offering high-resolution print quality and quadruple connectivity options, the ZD500 is compact and feature-packed for top performance. And, it is available with optional UHF RFID capabilities. 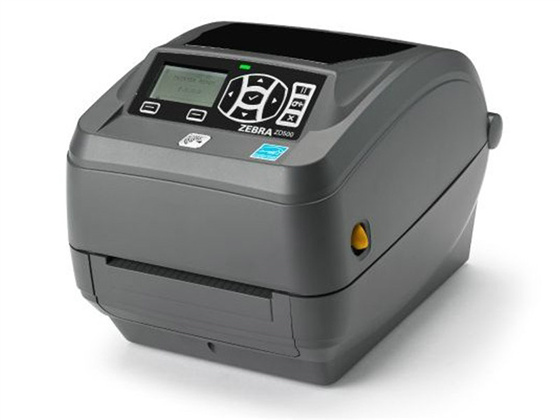 eature Packed to Meet Your Printing Needs Whether you are looking for thermal transfer or direct thermal models, these printers are loaded with features to reduce operator error and increase productivity. OpenACCESS™ enables quick and easy media loading, and tool-less printhead and platen replacement makes maintenance simple. 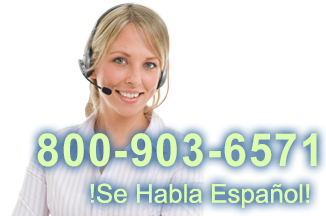 Wi-Fi Certified® communications and certified Microsoft® Windows® drivers provide easy integration and setup. And, fast print speeds help your team get the job done even quicker. 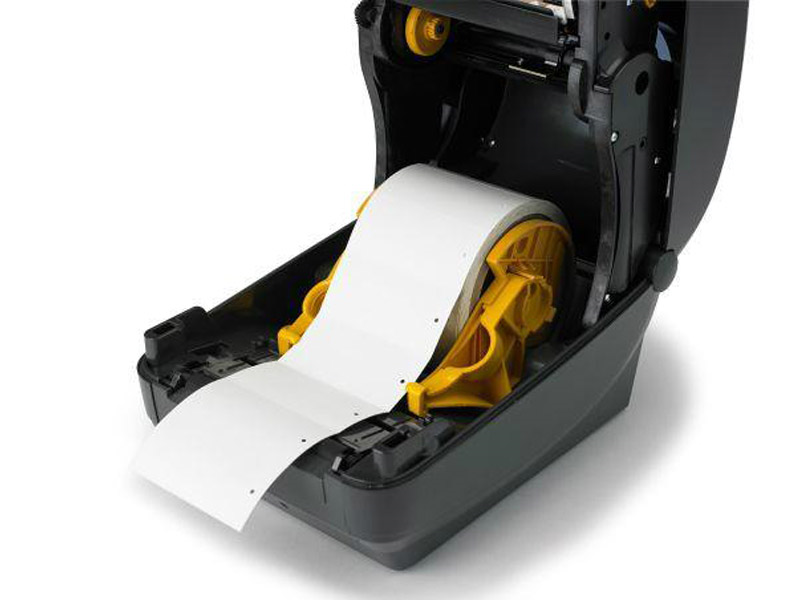 More Options to Make the Job Easier Extended media handling options such as peel and present, precision cutter for labels, receipts and tags, and linerless labels give you the flexibility to customize each printer to meet your specific needs. Broad Connectivity to Match Your Network Advanced connectivity options including Serial, Parallel, USB, Ethernet and wireless 802.11 or Bluetooth® allow operation on nearly any network. Quality Engineering for Extended Use Featuring dual-wall frame construction, Zebra’s performance desktop printers are engineered to perform for years. And, their compact size and clamshell design allow them to fit in even the most space-constrained environments. 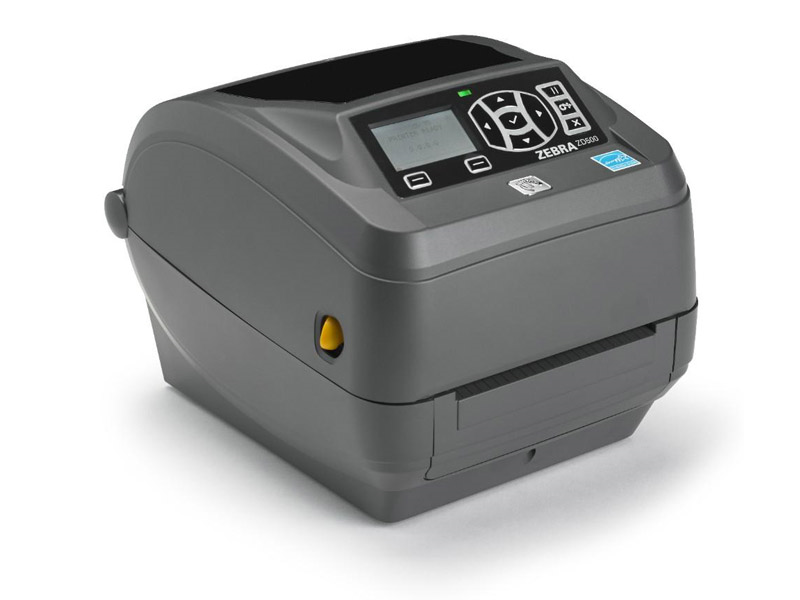 Middle product of the desktop printer lines, the ZD500 is slightly faster than the ZD400 but with some advanced features like a moveable label sensor and cutter or dispensor add-ons. It is a similar speed as the older GX420 and GX430 but has a much better user interface with a monochrome LCD screen and ten button menu. Find it faster! Click here to compare ZD520 models by feature. 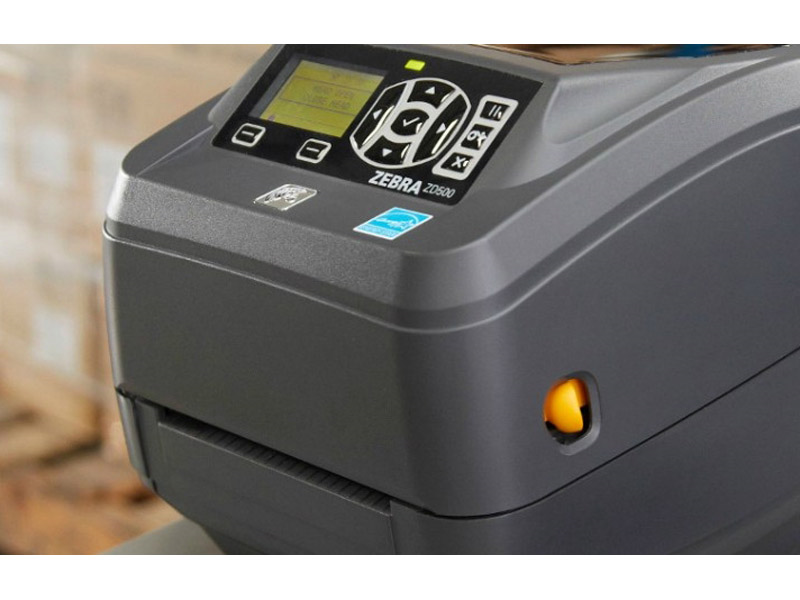 Browse all ZD520 models now or call 800.903.6571 for assistance.